Bunny's Chewin' The Carrot: Update, a little late. 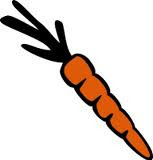 I'm chewin' the carrot over how regularly a blog should be updated. This one just has been.